Demonstrators protest alleged Orbán government moves to gain control over the independent media. On Monday, June 9, the opposition website Kettős Mérce [Double Standard] organized a demonstration outside the Hungarian Parliament Building in Budapest to protest the Orbán government’s alleged recent efforts to curb the influence of the independent commercial media in Hungary. 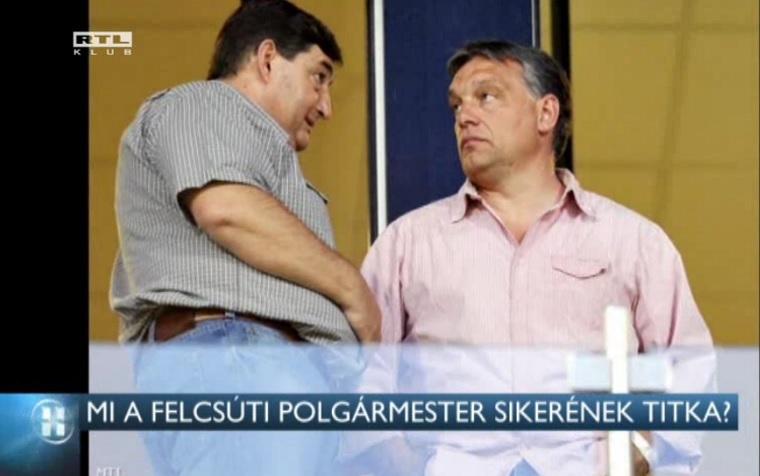 Specifically, Kettős Mérce held the demonstration to voice concern over two issues that emerged last week in this regard: first, the firing of editor-in-chief Gergő Sáling of the moderately opposition news-portal Origo, allegedly as the result of pressure that the Orbán government placed on website owner Magyar Telekom to do so after Origo two weeks previously broke the news that Prime Ministry director János Lázár had accumulated two million forints (6,600 euros) in hotel bills during three secret trips to Switzerland in 2012 and 2013 (source A and B in Hungarian); and Fidesz’s submission of a bill to the National Assembly that would impose a progressive tax on advertising income, one that is manifestly aimed at undermining the most popular commercial television station in Hungary, RTL Klub (see The Black Screen of Protest). Orange Files was at the demonstration. Marching across the Chain Bridge. Late as usual and the first glimpse seems to confirm suspicion that two demonstrations in one week about the same issue is too many and attendance will be light, especially considering that it’s really hot outside and also the Pentacost holiday so everybody is just getting home from the first long weekend at Lake Balaton. 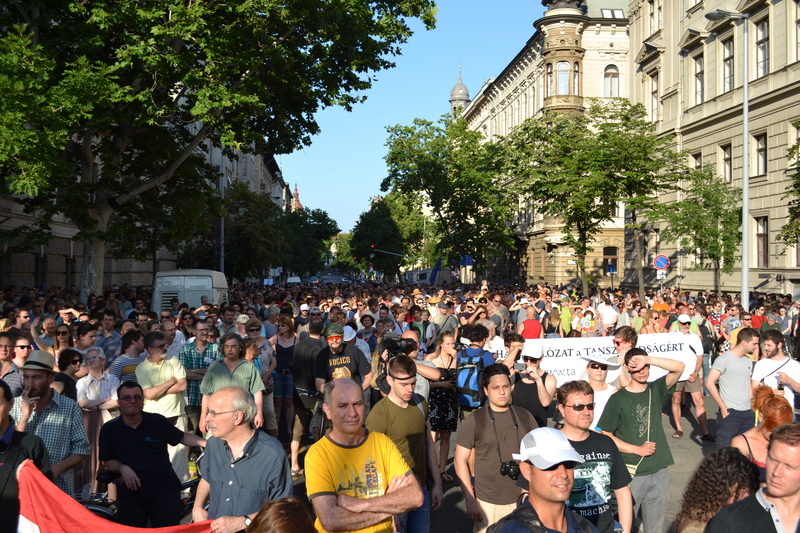 But a look down Constitution Street (Alkotmány utca) shows a surprising number of people—two thousand, maybe even three. Mostly young, sophisticated, fashionable, western. The speaker is from one of the secondary organizers of the demonstration: right there on the stage he makes a call to Magyar Telekom to cancel his mobile-telephone subscription to protest the presumable pressure the company put on Origo to fire chief editor Sáling; then a fiery speaker in a Hawaiian shirt and then a lady who ends to a crescendo of cheering with a long, eclectic list of different types of people who merit representation in an inclusive Hungary—Gypsies, homosexuals, Hungarian minorities from beyond the borders, etc. 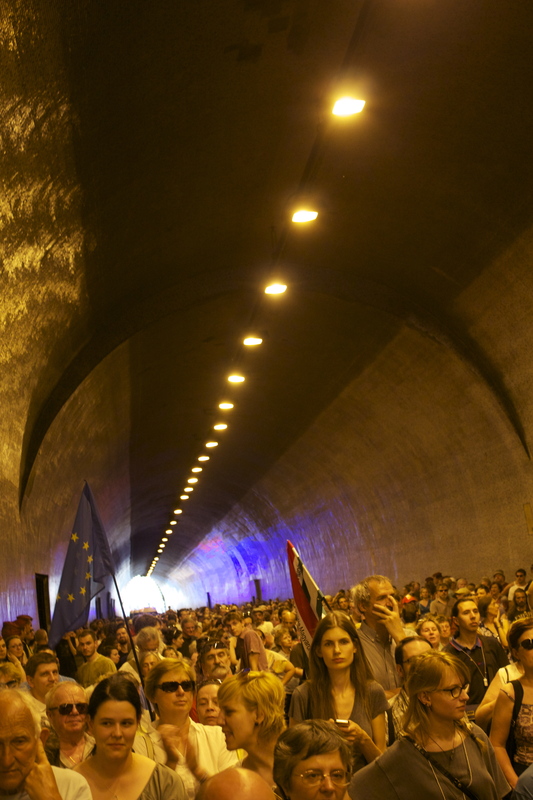 Marching through Castle Hill tunnel. Liberal hearts warmed, the demonstrators march down to the Danube, across the Chain Bridge [Lánchíd] and through the Castle Hill tunnel on their way to the Magyar Telekom headquarters intoning the new slogans: “Free country! Free media!” (Szabad ország! Szabad média!) and “We don’t need Orbán! We don’t need Lázár! 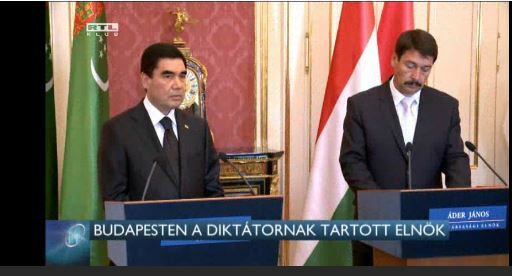 The Hungarian People Doesn’t Need an Emperor!” (Nem kell Orbán! Nem kell Lázár! A magyar népnek nem kell császár!). Inside the tunnel it is deafeningly loud, terribly hot. Dizzy. Parched. Need a drink bad. Down Krisztina Boulevard and arrive to the headquarters. A PR coup: Magyar Telekom has put up tents with free bottled water for the demonstrators. Sit on top of a high wall, quench thirst and look out over the crowd. Several familiar faces— friends, acquaintances, former liberal political figures like Imre Mécs and Tamás Bauer, aging rock star János Bródy. The main target of reproach in speeches at this location is János Lázár, the embodiment of cynical and arrogant political power, the man who ostensibly put pressure on Magyar Telekom to fire Sáling, the man who most vociferously and scornfully defended the proposed advertising-revenue tax, the man who will most likely replace Orbán as prime minister when the latter jumps to the position of president in 2017. PMagyar Telekom provides free water to demonstrators. But you can bet Lázár doesn’t care. Nobody in the Orbán administration does, because they know that twenty-five hundred disgruntled Budapest liberals pose no threat whatsoever to their power and, in fact, may even play the useful role of subjects for the state-run and other pro-government media to portray as perpetual grumblers, people for their supporters to scoff and roll eyes at. And if they really don’t like it here, let them move to London with all the other malcontents. For a few more images of demonstration see Orange Files photo gallery. 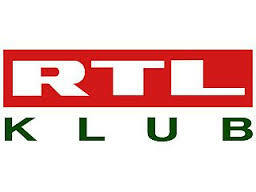 RTL Klub: “We Protest Against the Advertising Tax.” Estimated 2014 tax payment: 6.7 billion forints. 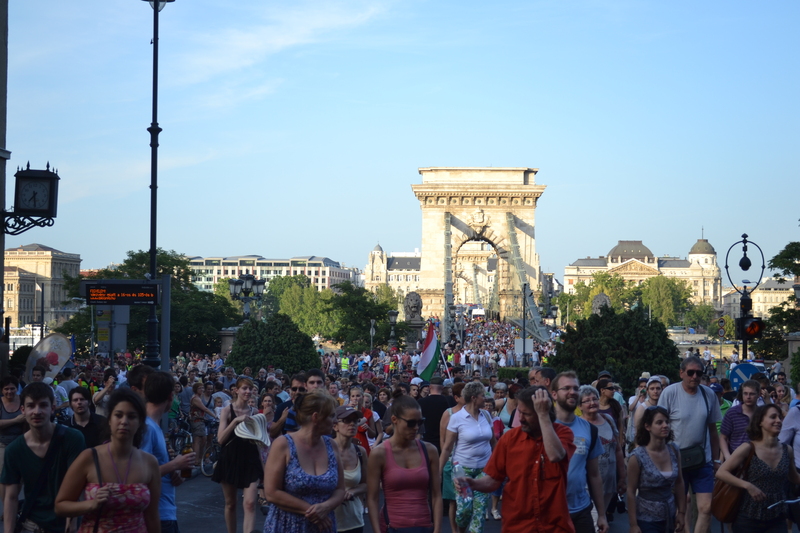 On June 5, 2014, over 100 commercial television and radio stations, websites and newspapers participated a Hungarian Advertising Federation-organized protest against a bill that Fidesz National Assembly representative László L. Simon submitted earlier in the week calling for the introduction of a progressive tax on advertising revenue (source in Hungarian). Between 7:15 p.m. and 7:30 p.m. on this date many of the commercial television stations and websites taking part in the demonstration showed blackened screens with messages expressing objection to the proposed taxes. Fidesz previously proposed this tax in 2013, but dropped it presumably because the party did not want to have strained relations with the commercial media during the 2014 National Assembly election campaign. The slightly altered new version of the tax would begin at one percent on advertising revenue over 500 million forints and rise to 4o percent on advertising revenue of over 20 billion forints, or about 66 million euros (source in Hungarian). TV2: “We Protest against Introduction of the Advertising Tax. Today we will suspend our broadcast between 7:15 p.m. and 7:30 p.m.” Estimated 2014 tax payment: 2.1 billion forints. The tax appears to be aimed specifically at undermining RTL Klub, Hungary’s most-watched television station, which although politically neutral, broadcasts the kind of programs—American action movies, lurid serials and reality shows—that Fidesz and the Orbán administration want to roll back in favor of Hungarian nationalist culture. The station, owned indirectly by German mass-media corporation Bertelsmann, would pay an estimated 6.7 billion forints pursuant to the proposed tax in 2014, or about 63 percent of the expected 10.7 billion forints in total government revenue from the tax this year (source in Hungarian). RTL Klub would, in fact, likely be the only media outlet to pay the tax in its two highest brackets of thirty and forty percent. 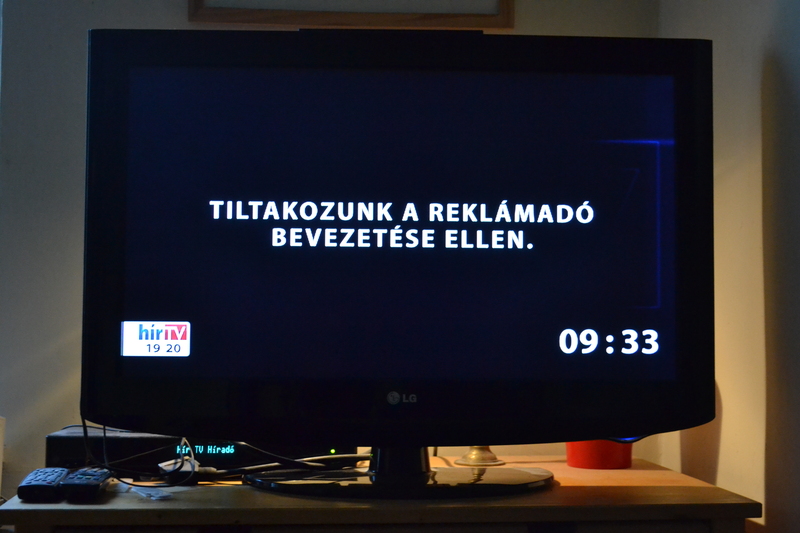 RTL Klub announced shortly after Fidesz representative Simon submitted the bill that the proposed tax would threaten the station’s existence and, along with it, that of some of the most popular television programs in Hungary, such as the weeknightly 10-minute soap opera Barátok Közt [Among Friends] and the talent contest X-Faktor (source in Hungarian). 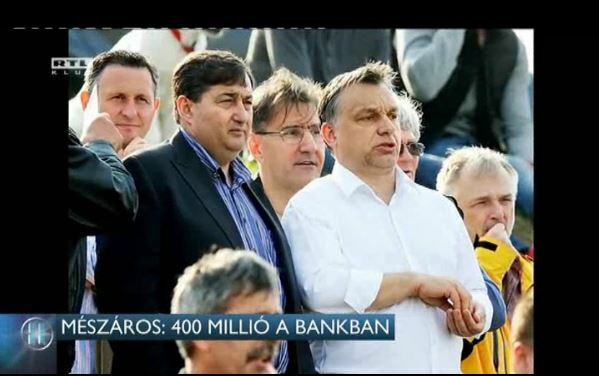 Pro-government television station HírTv: “We Protest against the Introduction of the Advertising Tax.” Estimated 2014 tax payment: 429 million forints. State Secretary in charge of the Prime Ministry János Lázár responded “RTL is threatening the country and blackmailing viewers and political officials. It would be good if they would practice this at home, in Germany, and not in Hungary” (source in Hungarian). 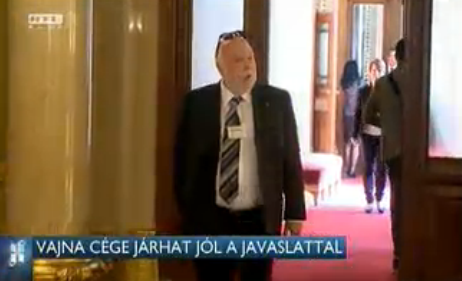 Fidesz National Assembly caucus chairman Antal Rogán subsequently announced that the entire party supports the tax, also referring to the protest as “blackmail of political officials” (source in Hungarian). Not only opposition media have objected to the proposed advertising tax: pro-government television station HírTv and newspaper Magyar Nemzet also participated in the June 5 protest. Fidesz caucus Chairman Rogán suggested that the party may be willing to make some minor changes to the bill, ostensibly to mollify criticism from pro-Fidesz media, though would not consider withdrawing the proposed legislation. 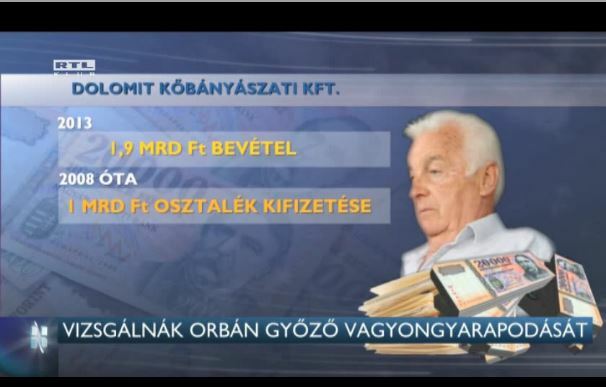 If the National Assembly adopts the Fidesz-sponsored advertising-tax bill in its present form, RTL Klub will be severely weakened and may even be forced to cease operations. The proposed tax represents another blatant attempt by the Orbán administration to decrease the influence of the independent commercial media in Hungary, thereby increasing that of the pro-government state-run media. Opposition website 444.hu: “We Protest against Introduction of the Advertising Tax.” Estimated 2014 tax payment: n.a.